I’ll be putting in a lot of miles this winter, and I’ll do my best to record some epic journeys and show off some of the nooks and crannies of the Gunks and Catskills. But after a busy riding and racing season, I took a month off, and today was my first ride back, as well as my first try at contributing to Riding the Catskills, so I thought I’d start out small. Like, really small. 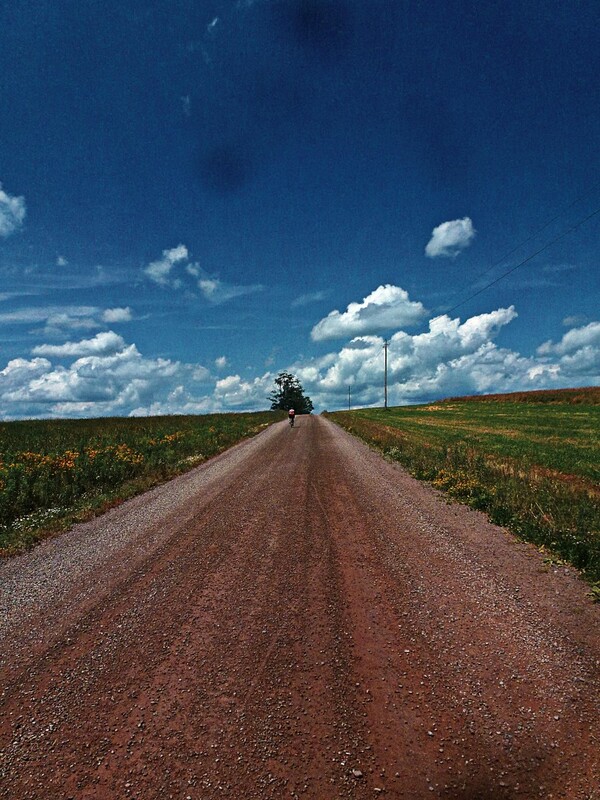 A couple of months ago, about 7 miles of new rail trail between Rosendale and Kingston opened to the public. This is an especially charismatic corridor, not your typical suburban multi-use path. 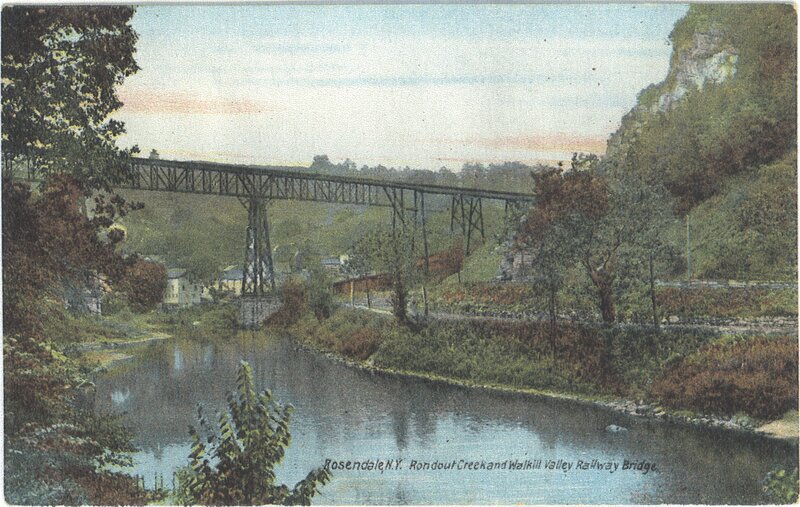 Until the new section opened, the Wallkill Valley Rail Trail, a popular recreation and commuting path through the towns of Gardiner and New Paltz, ended at the Rosendale trestle, an 1870 span high across the Rondout Creek, shown here in a 1910 image displayed at the Rosendale Library. Thanks to some epic fundraising and volunteer labor efforts, the trestle is now decked, safe, and open to the public all the way across, for the first time ever. 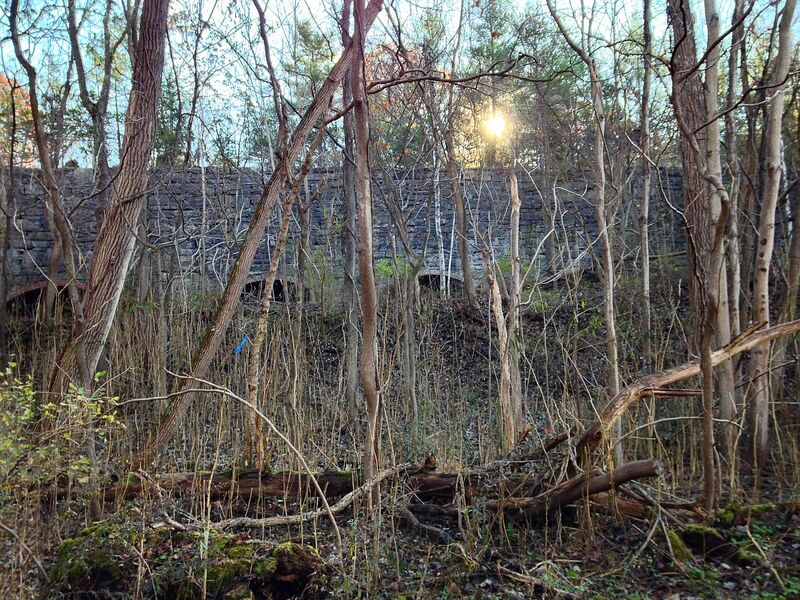 From the south side, the trestle leads into a canopy of oaks, sycamores, and tulip trees, then launches out into space toward Joppenbergh Mountain, on the far side of the creek. Joppenbergh is an imposing jumble of limestone, quite different from the famous Gunks conglomerate that forms the popular climbing crags immediately to the south. 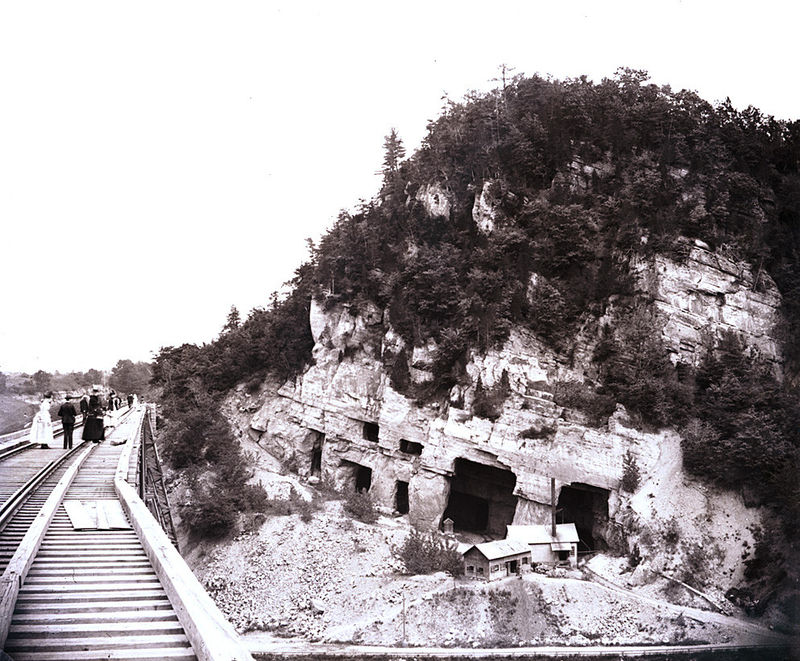 In the late 19th century, the mountain was the center of a booming cement mining industry. The mountain, and much of the town, was deeply mined with enormous, crisscrossing shafts. In 1899, the dangerously undermined mountain literally collapsed on itself, leaving an unstable pile of talus that continued to degenerate for another 10 years, before settling into a sort of equilibrium. 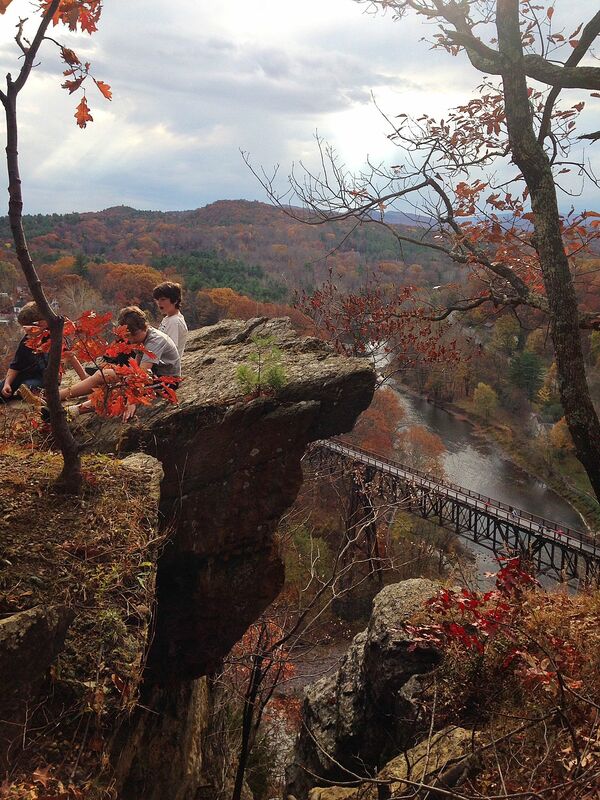 Today, trails lead to the top of the mountain from Willow Kiln park behind Rosendale’s Main Street, and the views from the summit are remarkable. 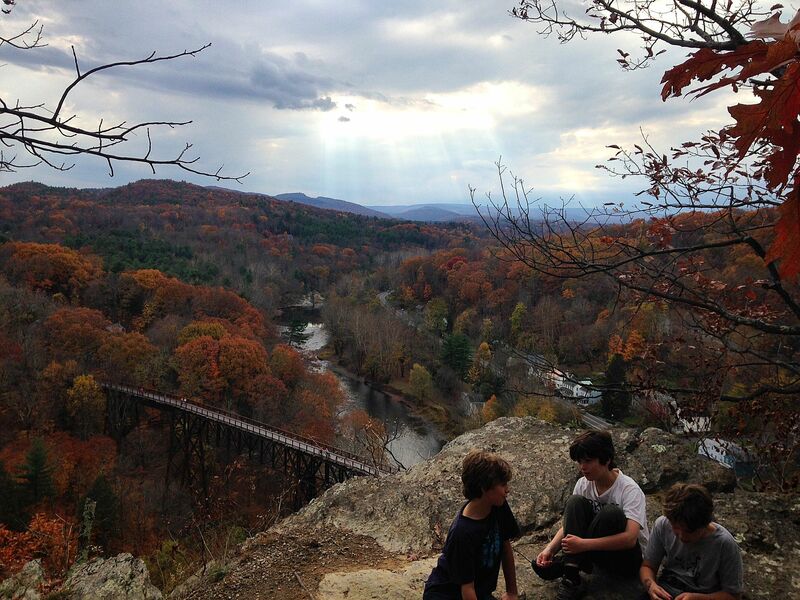 I climbed up with my kids last weekend. Continuing north beyond the trestle, remnants of the century-dead cement industry are visible along the trail. Brick kilns where limestone was fired into cement are visible through the woods, mostly reclaimed by the forest. The trail passes through the Williams Lake area, formerly the site of a blue-collar family resort, now vacant. A fancy Canyon Ranch style eco-spa is planned on the site, so it may not look like this much longer. 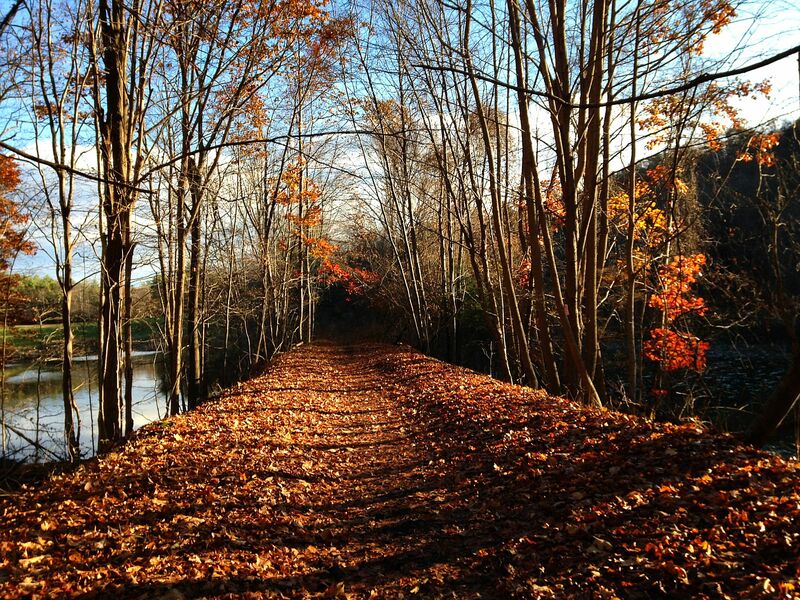 Luckily, the rail trail is a permanent easement. 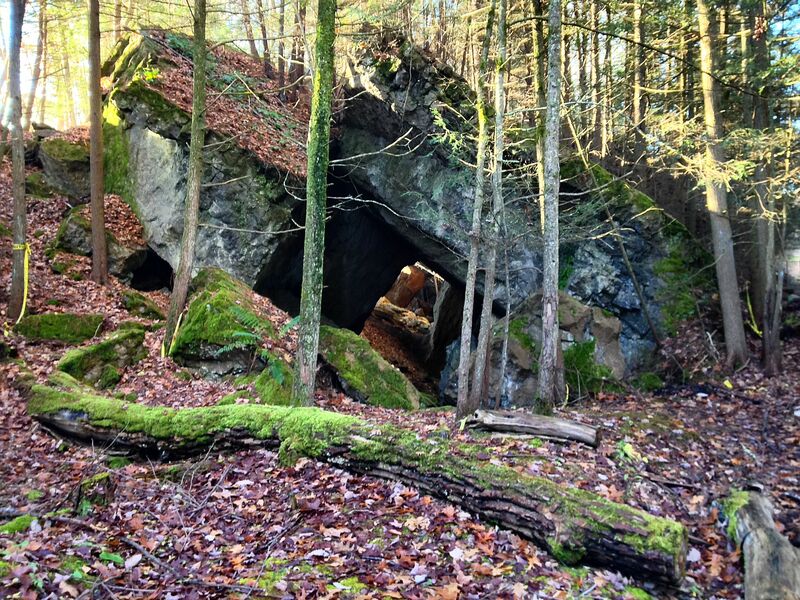 The trail passes right next to several abandoned “room and pillar” mines, some of which are huge. 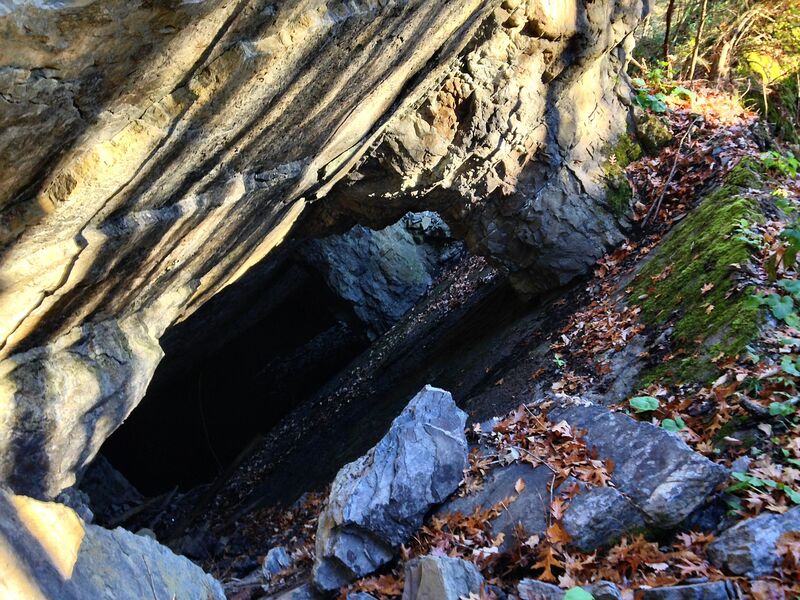 These mines are home to massive colonies of bats. In the olden days, bats would hibernate in small groups all over the place, under the bark of big trees, in small caves, and so on. Habitat fragmentation has put an end to that old-fashioned practice. Now essentially all of the bats in a given area hibernate in just a few places, and abandoned mines are perfect for them. Unfortunately, these bat megaslums are also perfect for breeding disease, which places the bats at risk. In the past five years, a fungus that may have been introduced by humans, right here in the Hudson Valley, has wiped out an estimated 6 million bats, with a mortality rate of 95% in some species. So even though they look awesome, please don’t explore the caves. Unless you want mosquitos to take over the world. 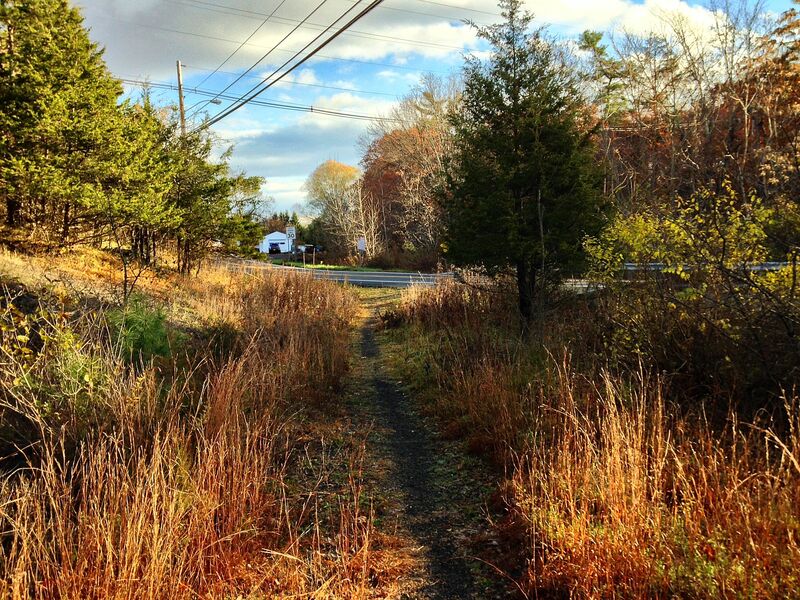 After a few miles and a few road crossings, the trail gradually becomes less and less interesting, and ends with a whimper on the outskirts of the city of Kingston. 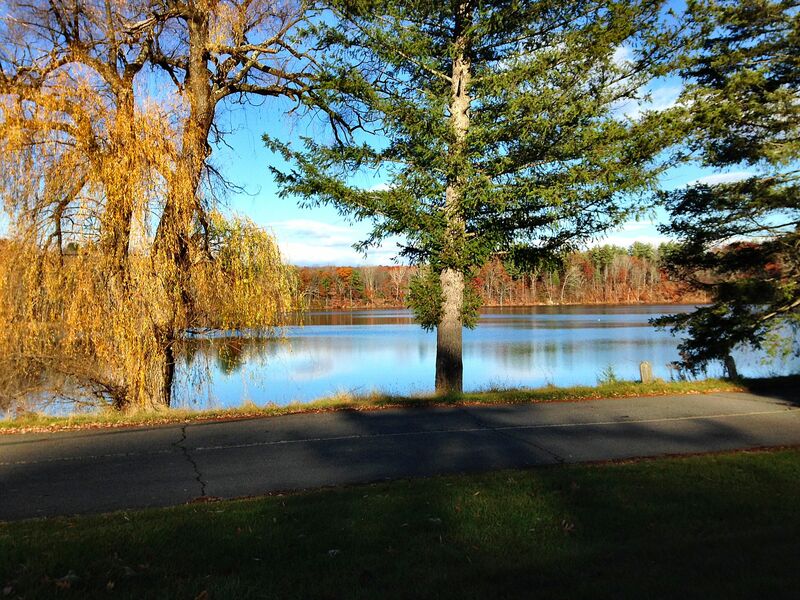 However, the county government has ambitious plans to extend and connect this trail to the Catskill Railroad right-of-way along the north side of the Ashokan reservoir, and from there right through the heart of the Catskills, all the way up to the Belleayre ski area. Bike to ski, cool. 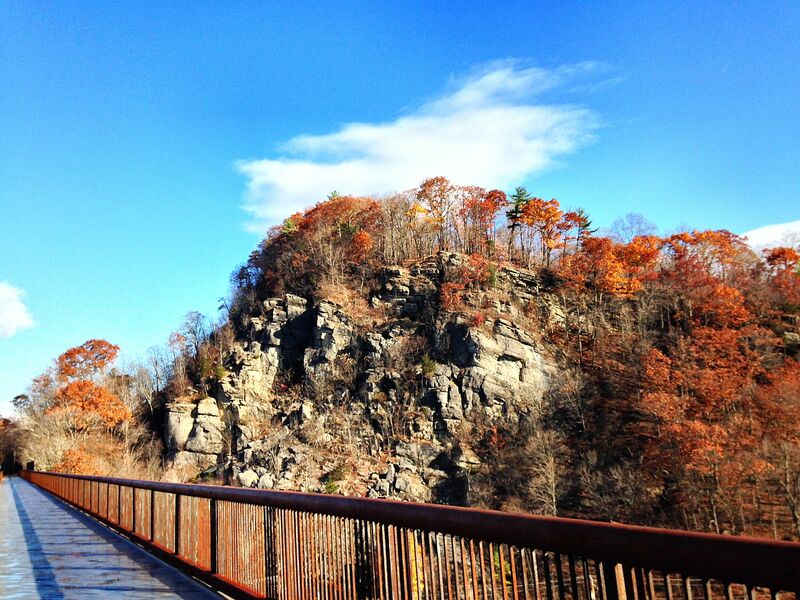 This entry was posted in bicycles routes rides, catskills on November 8, 2013 by John Schwartz.